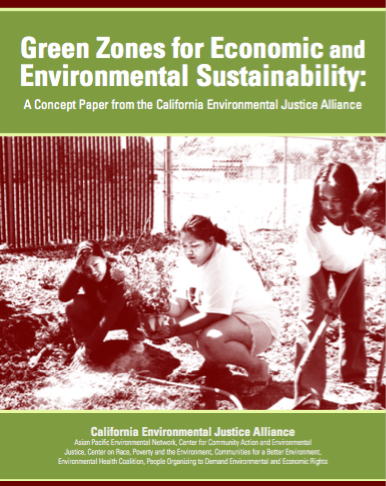 California environmental justice organizations have been at the forefront of developing cutting edge Green Zones research, policy, and organizing campaigns. 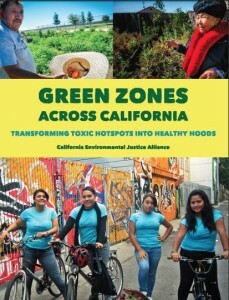 For the past 6 years, city level and state wide campaigns, such as that organized by the California Environmental Justice Alliance (CEJA) have been pushing for policy change that will transform toxic hotspot communities into sustainable and healthy spaces. 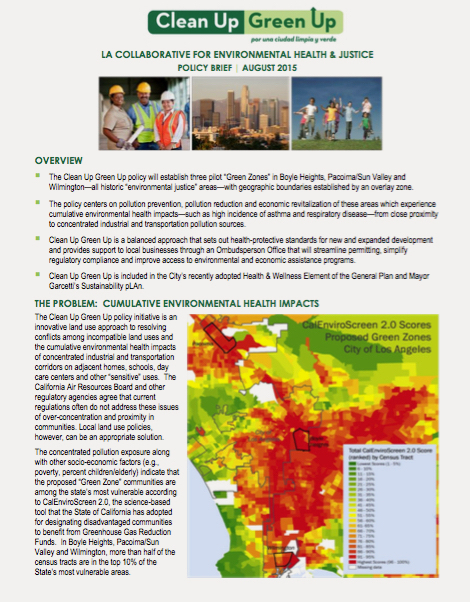 These efforts have been had research and foundation partners, such as the Liberty Hill Foundation, to support the long term, multi-year efforts that are part and parcel of such transformative hang policies. 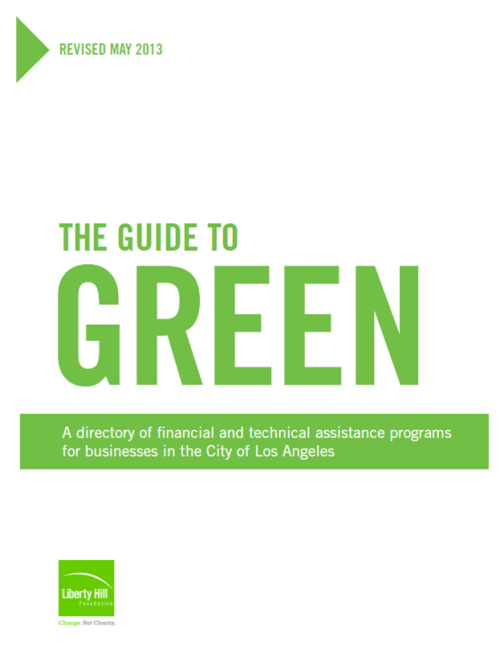 In Los Angeles, tactics have involved strong research and data assistance, visual communications, policy technical assistance, and organizers on the ground – all focused on developing a city level Green Zones policy that keeps the most impacted communities at the center of the policy making process, throughout the process.